The season is over, but that doesn’t mean we’re going to stop sharing great fishing stories! 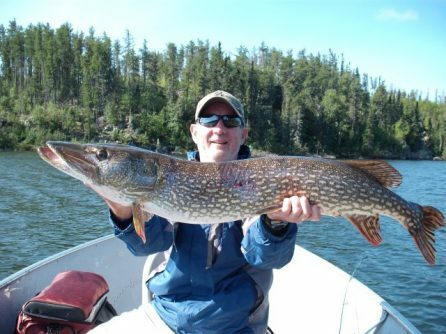 The McNabb party flew into Cairns Lake this summer and caught a few huge Northerns and a good number of Walleye. 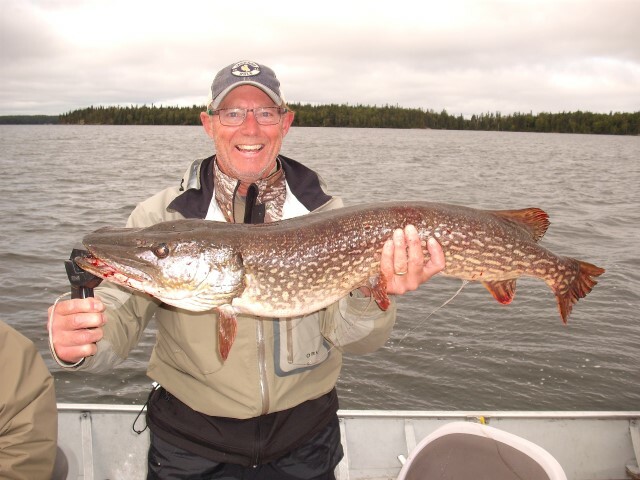 The group even caught 3 Northerns over 40″! All three were released safely back into the lake so they’ll be even bigger for next season’s anglers. 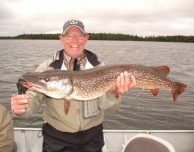 For those of you looking to reel in a big Northern, Joe McNabb told us that he caught two 40+ inchers in the same bay using a classic red & white spoon. Cairns’ clear water makes the lure really pop out to those big predatory fish – and they can’t stop biting! Give us a call to book your own escape to the wilderness for the 2017 season!